Spring image used on social media, signage, and newsletters. 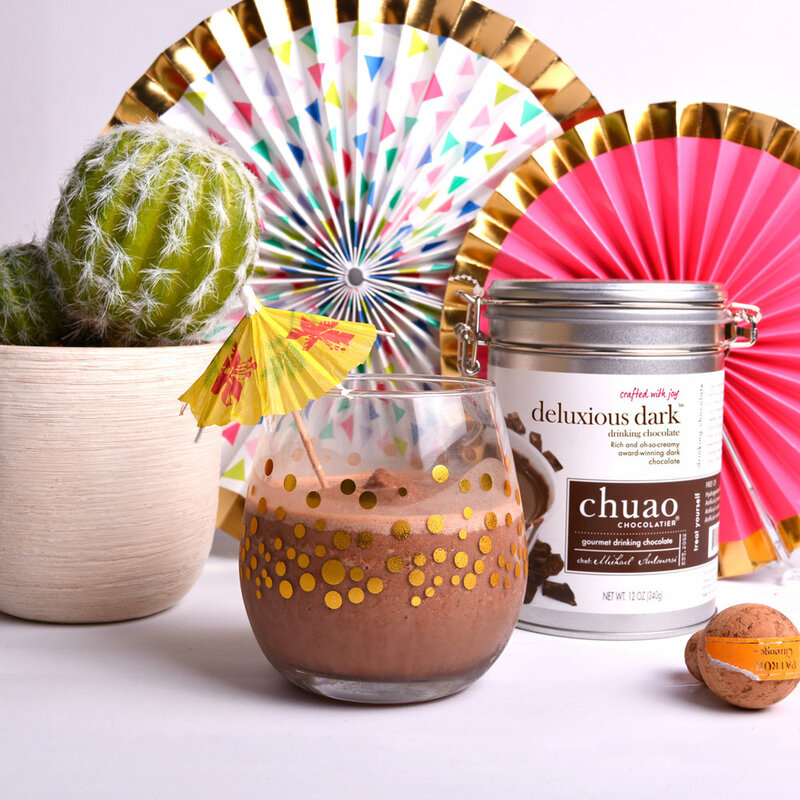 showing the chocolate has proven to be rewarding. The diagonal line gives the image some directional guidance and the flowers bring in a soft touch as well as help reinforce the spring vibe. we launched 3 new flavors of joy-filled caramels, one of which was ravishing rocky road. this image is geometric in nature with use of bright olors to allow the packaging to pop. this was a photo shoot that i planned and executed to optain a new kind of photo for our brand. the planning for this included sourcing props, finding inspiration, deciding on location, and working with the talent to get the shots needed. the idea behind this photo, as well as a few others in the collection, was taken to show the whole fresh ingredients used in our moon bark chocolate bars. i made these brownies to help promote our new bar, mintfully brownie. 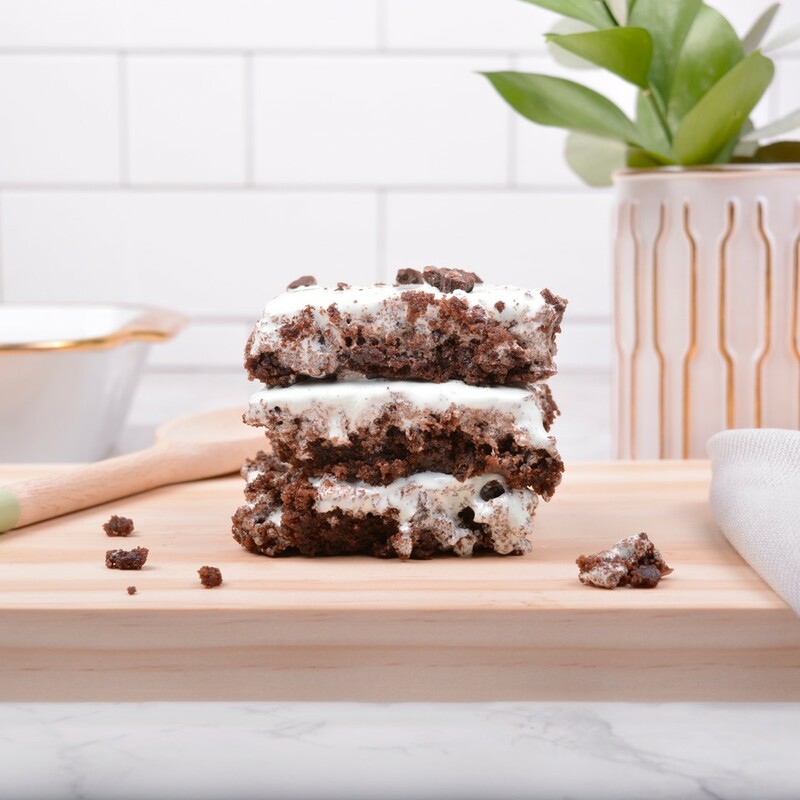 these are chocolate brownies with mint marshmallow fluff toppings. i started taking a food photography course and started applying what i learned to these images. 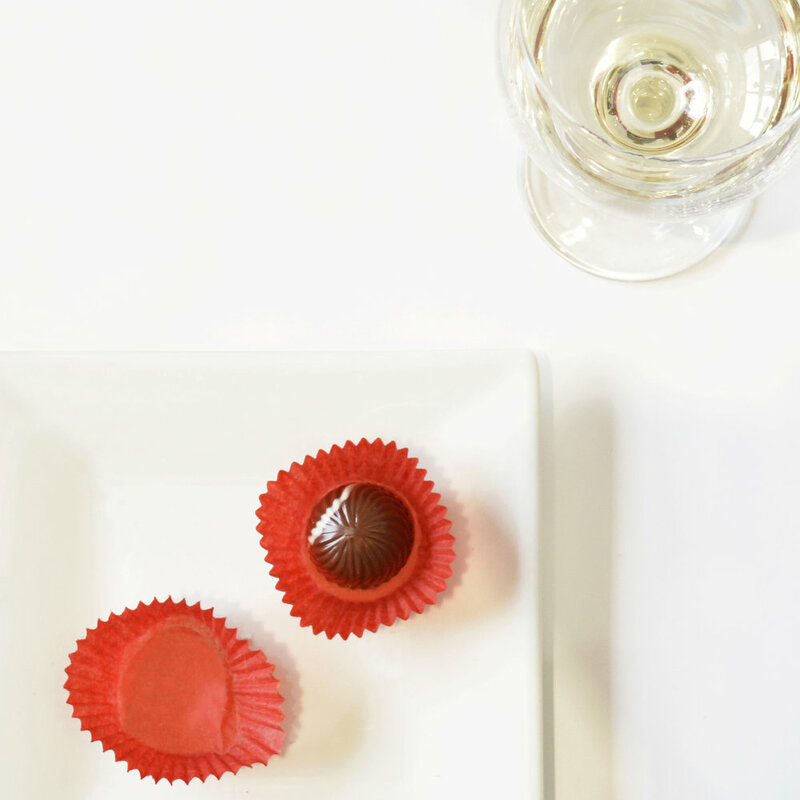 during my first few months at chuao, i was invite to join in on a wine and bonbon pairing to take some photos. this was one of my first photos taken at chuao. i love the use of white space and how your eye gets drawn right to the bonbon.